You or your family member has been arrested, needs an expungement, violated probation or parole and is facing revocation, or is subject to forfeiture in Tangipahoa Parish. For a misdemeanor, your case could be heard in Hammond City Court, or more likely in Amite. For a felony, your case will be heard in Amite in District Court..
Hammond City Court has one Judge who hears misdemeanor cases. Amite, Greensburg, and Livingston share seven District Court Judges who hear misdemeanor cases and felony cases, after bond and arraignment have been set. You want a divorce, custody, visitation, child or spousal support, protection from abuse, your share of community property, name change, to adopt, to interdict an impaired relative, or have been served. Domestic cases are assigned to two Family Court Judges shared by Amite, Greensburg, and Livingston. First, custody, child and spousal support go to a Hearing Officer. Then, if either party objects to those recommendations, your case will go to one of two Family Court Judges for hearing in Amite. Child Protective Services (CPS) has been called about your children, your niece or nephew, or grandchildren or you have been served with a state Non-Support case. For state Non-Support cases, you will first see a Hearing Officer. If either party objects you will go before one of two Family Court Judges. If a CPS report was made in Hammond, the case will go to Hammond City Court, but more likely, the case will go to Amite to the Juvenile Court Judge. You or your relative was injured or killed when rear-ended, broad-sided, or hit head on by a car or truck, treated by a negligent doctor or even bitten by a dog. Your case can be filed in Hammond City Court up to $35,000 in damages, or in District Court in Amite. If the damages exceed $50,000, a jury trial can be requested. Livingston, St. Helena and Tangipahoa Parish judges “ride a circuit”; in other words these three parishes jointly elect and share judges and a district attorney. Ascension, East Baton Rouge, East Feliciana, Livingston, St. Helena, St. Tammany, Tangipahoa, Washington and West Feliciana parishes, share the First Circuit Court of Appeal in Baton Rouge. 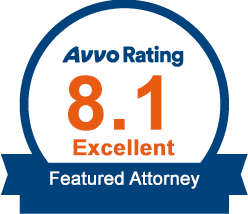 If you have received an unfavorable Judgment with another attorney, your case can be appealed; but quickly. Whether you or your family member has been arrested, has a family law dispute, been injured or killed by a car, doctor or dog or needs to appeal, you need aggressive, knowledgeable and experienced attorneys familiar with your problem, the law and the judges. You need the lawyers at Ellen Cronin Badeaux, LLC with 23 years of experience. Call 985-892-1955. Ellen Cronin Badeaux, LLC serves the parishes of: Ascension, East Baton Rouge, East Feliciana, Jefferson, Orleans, St. Bernard, St. Helena, St. Tammany, Tangipahoa, Washington and West Feliciana Parishes in the cities of Amite, Baton Rouge, Bogalusa, Chalmette, Clinton, Covington, Denham Springs, Donaldsonville, Franklinton, Gonzales, Greensburg, Gretna, Hammond, Kenner, Livingston, Madisonville, Mandeville, Metairie, New Orleans, St. Francisville and Slidell.